Between 1942 and 1944, nearly 2,000 women left farms and Main Streets of America to train at the top-secret all-female-cadet airbase of the Women Airforce Service Pilots (WASP). Upon graduation, despite danger and considerable flak from some of the men, the WASP took to the skies with bravery and high spirits proving women could fly every plane in America's air arsenal, from the fastest fighters to the B-29 Superfortress. 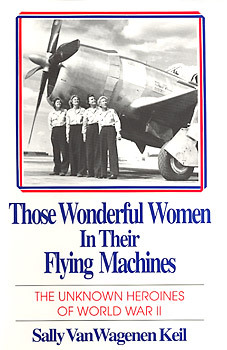 Keil brings the WASP story vividly to life, as she puts readers in the cockpit with Marion Hanrahan towing targets for male gunnery trainees as stray bullets ricochet off her fuselage, with Nancy Batson landing a P-38 with defective landing gear, and with four WASP ferry pilots jailed for wearing a flight uniform with pants. Inspiring, startling, at times hilarious and deeply moving, the WASP story fascinates readers of every generation. The book includes photos of the WASPs in training and in action. 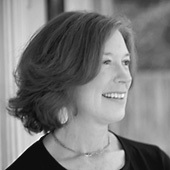 Sally Van Wagenen Keil, a writer with many years experience as a journalist in New York City and the niece of a WASP B-17 test pilot, is a graduate of Vassar College and New York University. Her search to find and interview former WASPs took her across America for over five years, during which time she also became a pilot. She now lives in the Hudson Valley near Rhinebeck, New York. in this affectionate and savvy book."